High-End SUVs Come Here First! Land Rover automobiles are known for their unique style and go-anywhere capability. This luxury brand is touted as a versatile vehicle, able to handle any terrain. However, they also have a reputation for expensive repairs. Many auto repair shops shy away from working on Land Rovers, because they tend to be difficult to diagnose and repair. Sound like a job for a specialist? We agree. Our team keeps up with all of your Land Rover’s latest technologies, and uses the most effective services and equipment. Just because a shop says they work on Land Rovers doesn’t mean it’s safe to bring them your vehicle. It takes years of training and experience to handle the services for the innovative Land Rover. Your Land Rover requires specialized and expert care when it comes to repairs and maintenance services. Rather than making a costly trip to the dealership, trust your vehicle with the Land Rover repair experts at Spotlight Automotive in Chicago. From our state-of-the-art equipment and diagnostic tools to our team of ASE certified technicians, Spotlight Automotive has what it takes to be your dealership alternative. We use factory service equipment and OEM parts to provide everything from simple maintenance services to major repairs. Pay attention to your Land Rover’s performance and give our expert techs a chance to save you a lot of time and trouble. 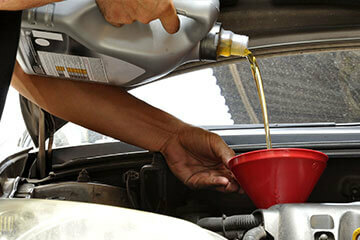 Routine maintenance services and the occasional repair are a part of vehicle ownership. But when you own a luxury brand, you need a specialist under the hood, protecting your engine and your wallet. Our goal is to keep our costs 40% less than what you would pay at the Land Rover dealership while providing the same professional repair work and exceptional customer service. With a 24 month warranty on parts and an unprecedented lifetime warranty on labor, Spotlight Automotive is the premier destination for all of your Land Rover repair and maintenance needs. Schedule Your Land Rover Repairs Today! When it comes to Land Rover repairs, Spotlight Automotive is the best option for all Chicago drivers! Our team knows how your Land Rover is supposed to run and sound. You’ve invested a lot in comfortable, top quality transportation, and we’d like to protect your investment. We invite you to give us a call at 312-967-0732, or schedule your appointment online right now. Next time you’re in the area, stop in to meet our Land Rover service experts. Bring us any of your questions or concerns, and see how we provide the best Land Rover repair services in the area.